In the previous tutorial, we prepared all the necessary configurations for building API find options by id of question: a Option document object containing the information of an option, an OptionRepository to manipulate MongoDB, an OptionController that defines the Core Option Service APIs will start with “/option” and the connection information to the MongoDB server is configured in the application.properties file. Now, we are going to build this API! 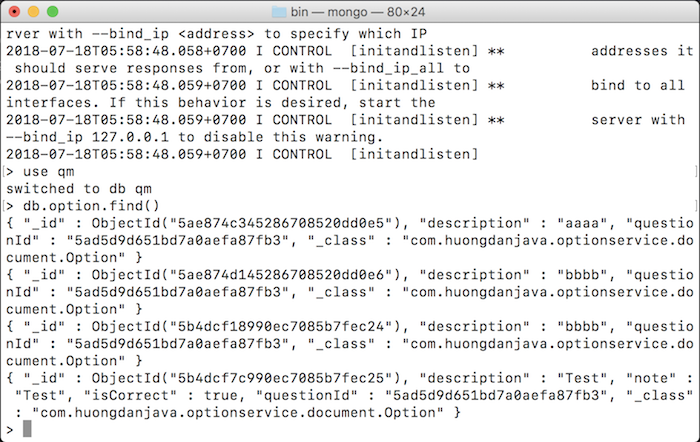 Since we are using Spring Data MongoDB Reactive, we do not need to implement this method. That’s it! Let’s test it! 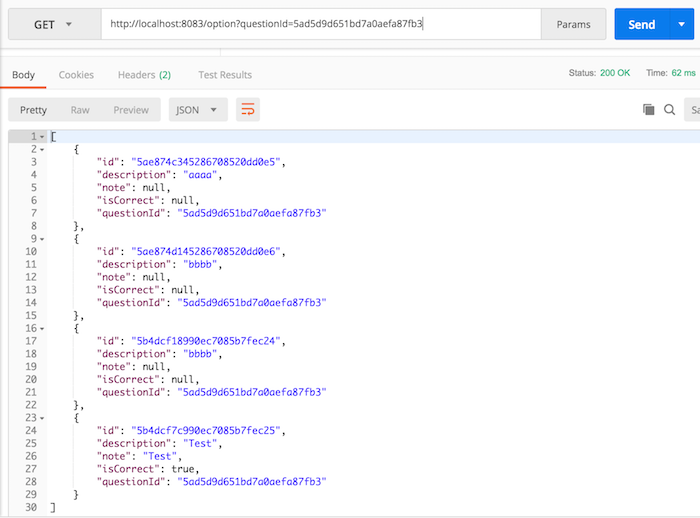 For this API, since everything is Spring Data MongoDB Reactive, we do not need to write Unit Test for the code that we just added.